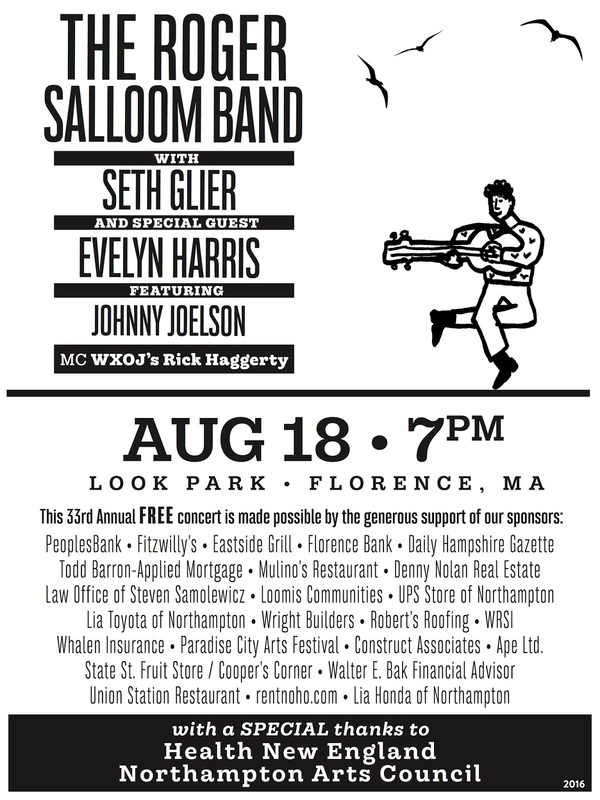 Roger Salloom will present his 33rd Annual Free Concert at Look Park in Northampton on Thursday, August 18 with special guests Seth Glier, Evelyn Harris & Johnny Joelson! 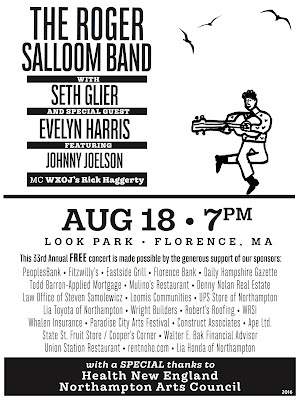 Northampton, MA - Roger Salloom will host his 33rd Annual Free Concert at Look Park on Thursday, August 18 at 7 p.m. It’s an event that has become a tradition on the local music scene, and a tribute to longtime musician Roger Salloom and other musicians who make it possible. This year’s concert will include Salloom’s former band-mate Seth Glier (Grammy Winner) who will open on keyboards. It will also include Grammy nominee, and former member of Sweet Honey In the Rock, Evelyn Harris. She will perform Edith Piaf’s Vie En Rose during the event. Master of Ceremonies will be Rick Haggerty from WXOJ. The concert is free but those arriving by vehicle will have to pay a small fee to enter Look Park. According to Salloom, the Look Park Concert was an emulation of the concerts that he and his “whacked- out, idealistic hippie band” used to see in the late 60’s at Golden Gate Park in San Francisco. He said he learned a lot from not having any money, and his band never had money. He learned to give to his community. The Look Park concert has become that, an annual gift to the community and a tribute to Roger Salloom and several other participating musicians.